End suction models for capacities from 50 to 500 US GPM. Capable to supply single skid mounted fire pump set. The casing is designed for back pull-out which permits the removal of complete rotor unit without removing suction and discharge pipe. 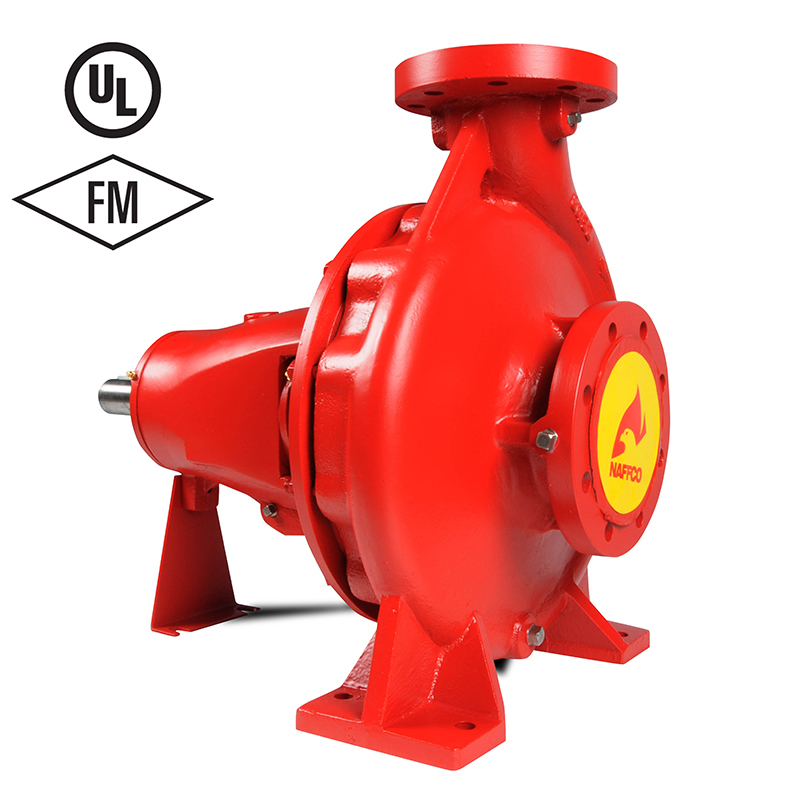 The cast iron volute casing is of robust design with integrally cast feet, vertical top centerline discharge with axial suction incorporating cast inlet vane to give best flow to impeller eye. Driven end / non-driven end bearing are grease lubricated deep groove ball bearings. Impeller is double shrouded type. It is hydraulically balanced and positively driven by shaft key and axially locked between sleeve and impeller nut. Soft-packed stuffing box. Graphite impregnated type gland packing.